Finally it’s summer!!! For the first time since I left Memphis on May 14th, it is above 75 degrees. In fact, it’s in the 90s here in Palm Springs. I had one day in Denver above 70 and one day in Seattle above 70, otherwise it’s been cold. I am SO glad I am finally feeling summer. It is June 10 after all. Day 28 of my U2 360 tour across America brought us from Oakland to Palm Springs. We left Oakland around 7:20am, and it was 55 degrees and arrived in Palm Springs just over 8 hours later and it was 95 degrees. 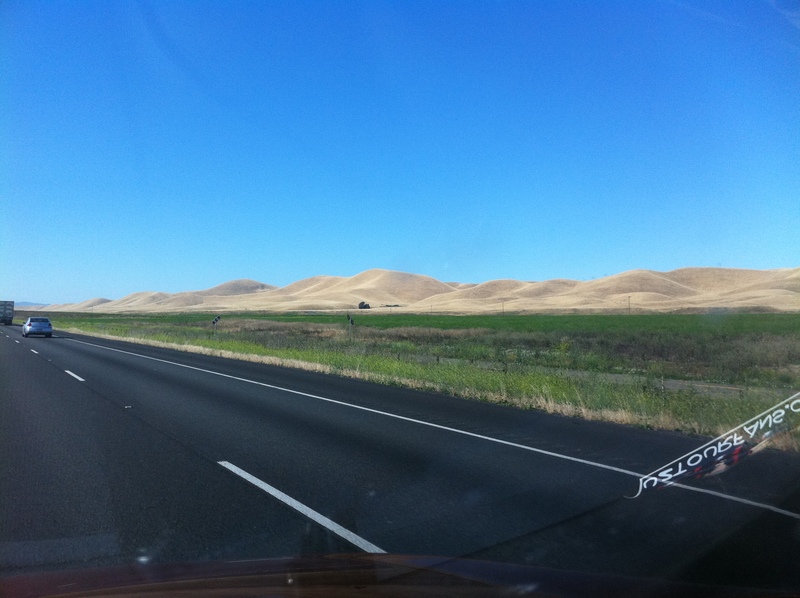 We only stopped twice on our journey south on Route 5 up and down the mountains – again. It was a pretty drive though. 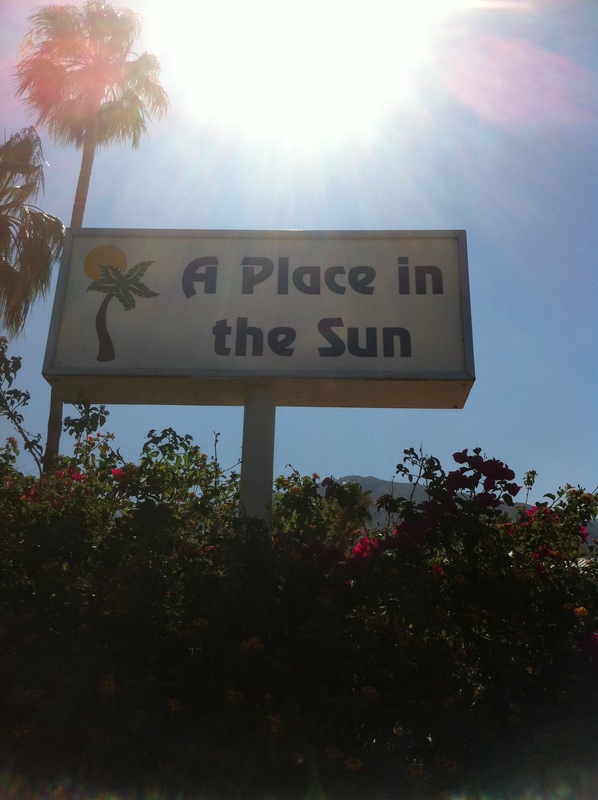 I love Palm Springs! I haven’t seen any of it except driving through downtown, but I love the desert! A Place in the Sun garden hotel is my new favorite hotel – in fact I think I want to live here. 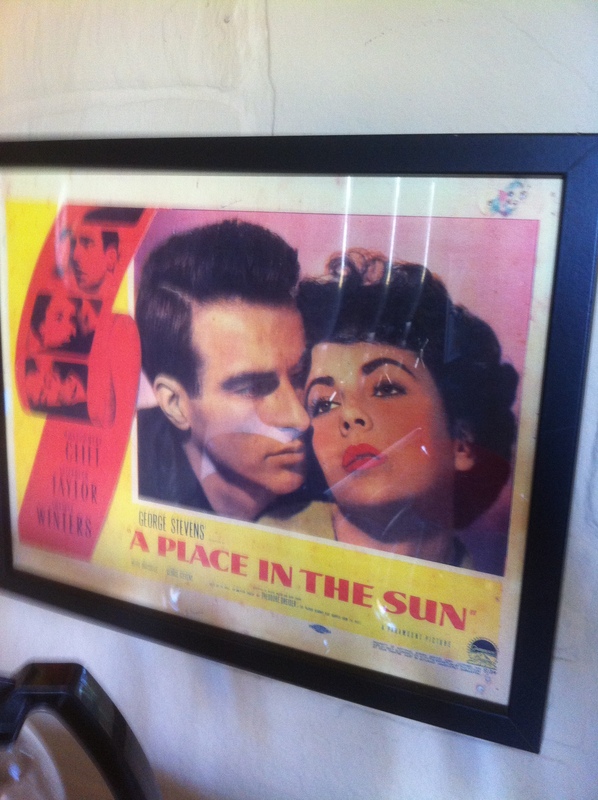 It is named after one of my favorite movies, A Place in the Sun starring Elizabeth Taylor, Montgomery Clift, and Shelley Winters. The production crew stayed here while they were filming. A Place in the Sun garden hotel is a collection of bungalows situated in a rectangle surrounding the pool with palm trees and mountains in the background. It’s gorgeous! It was built in the 1950s, so it’s very retro, which I obviously love. 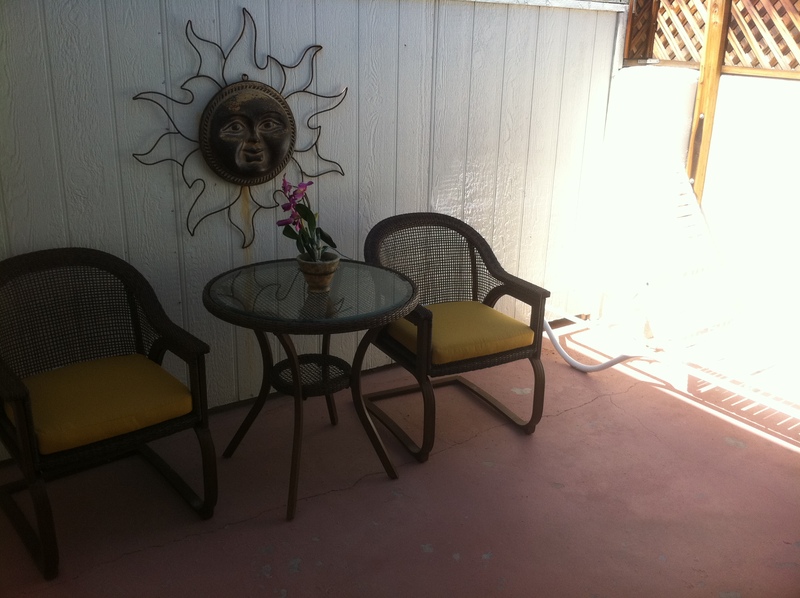 There is even a walled in patio, so the dogs have a little space to go off leash. Yes, it is pet friendly here! And to make it even better, they upgraded me to a one bedroom bungalow, which is basically like an apartment with a full kitchen, dining room table, 2 couches and tv in the living room, a king bed, closet, and tv in the bedroom. They even have a library of books and movies for me to enjoy. 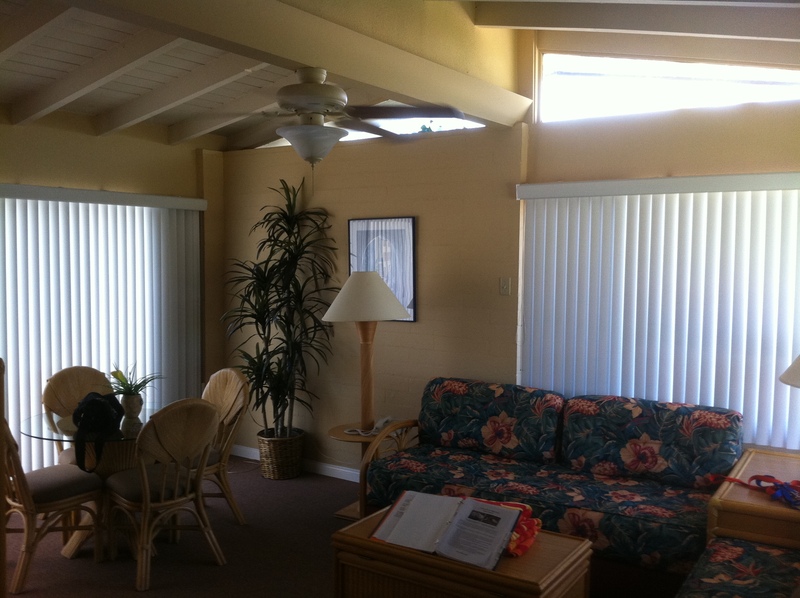 I know I am going to really enjoy my time here at A Place in the Sun garden hotel and in Palm Springs. I wish I was staying longer than the weekend. 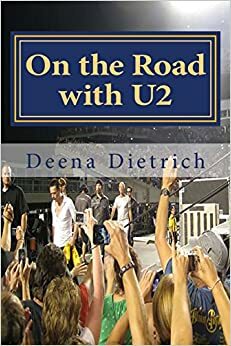 Really enjoying reading your journey following U2. Hope to see you in Baltimore!!!!! Thanks for reading. I’m glad you like it. See you in Baltimore! Thanks for sharing your road trip!